ARRL has established an agreement with RFinder, the creator of a web and app-based directory of Amateur Radio repeaters worldwide, for RFinder to be the League's preferred online resource of repeater frequencies. RFinder, the official online repeater directory of ARRL. RFinder is a steadily growing worldwide repeater directory with over 50,000 repeater listings in over 170 countries. 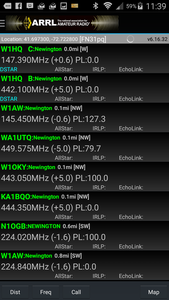 An annual $9.99 subscription to RFinder provides access to repeater data through its collection of apps for Android and Apple devices, and from nearly any web browser. With one subscription, users have access to repeater data worldwide from computing devices on Windows, Mac, Linux, Android, Apple iOS, and popular GPS systems. A growing list of third-party memory programming applications support radio programming. RFinder provides integrated support for EchoLink on Android and iPhone, allowing users a one-click connection to repeaters worldwide from the directory. "The RFinder team is honored to be ARRL's partner, providing the very latest online repeater information and directory technology for radio amateurs in the United States," said Bob Greenberg, W2CYK, creator of RFinder -- The Worldwide Repeater Directory. "We look forward to working with ARRL to make RFinder even better for US hams." ARRL will receive a portion of each annual subscription to RFinder. US radio amateurs who subscribe to RFinder will have online access to its entire worldwide directory while supporting ARRL. ARRL will discontinue its own products that had supported digital listings of repeater data, including the TravelPlus for Repeatersâ¢ software and its own apps. ARRL is working with RFinder on a plan to migrate existing ARRL app users to RFinder, in order to support remaining subscription terms. "Rest assured that the printed ARRL Repeater Directory, updated and published each year, will continue to be produced," said ARRL Marketing Manager Bob Inderbitzen, NQ1R. Inderbitzen explained that the Repeater Directory, available in pocket-sized and spiral-bound desktop editions, is especially popular with new radio amateurs, mobile and portable operators, and public service volunteers who rely on the printed copies when they are offline and on the go. ARRL's source of repeater data for The ARRL Repeater Directory is voluntarily contributed information from repeater owners and frequency coordinators in the US and Canada. RFinder, on the other hand, assembles its data from worldwide sources, including repeater owners, national and regional coordinating bodies, and carefully reviewed crowd-sourced contributions. RFinder uses dynamic data, allowing users to access listings that regularly reflect new, updated, revised, and deleted information. RFinder will have an exhibit at the upcoming Orlando HamCationÂ®, this year's ARRL National Convention, February 12-14, at the Central Florida Fair and Expo Park in Orlando, Florida. "We are excited and proud to announce our partnership during the ARRL National Convention!" Greenberg said. ARRL is the most recent national Amateur Radio society to establish a partnership with RFinder. RFinder is the official repeater directory of Radio Amateurs Canada, the Radio Society of Great Britain, the Deutscher Amateur Radio Club (Germany), and others. Subscribe to RFinder by visiting http://subscribe.rfinder.net from your iPhone, iPad, iPod Touch, or from your Android smartphone or tablet. Those without an Apple or Android device can subscribe using the link at the bottom of http://subscribe.rfinder.net/. The list of cosponsors for the US House version of the Amateur Radio Parity Act of 2015 (H.R. 1301) continues to grow. The addition of Rep Stevan Pearce, KG5KIQ (R-NM), and Rep Beto O'Rourke (D-TX) as cosponsors on February 1 raises the total to 120 from both sides of the aisle. Pearce and O'Rourke are among four cosponsors to sign on to the bill since the start of the year. The other two are Reps Robert Brady (D-PA) and Marcy Kaptur (D-OH), who became cosponsors on January 12 and 13, respectively. One of a small handful of hams in the US House, Pearce got his ham ticket in November, after reaching out to then-Rocky Mountain Division Director (now Second Vice President) Brian Mileshosky, N5ZGT, and New Mexico Section Manager Ed James, KA8JMW, to find out more about ham radio. He joins his House colleagues Reps Daniel Benishek, KB8TOW (R-MI), and Greg Walden, W7EQI (R-OR), who chairs the House Subcommittee on Communications and Technology. During a January 12 hearing on H.R. 1301, Walden called the Amateur Radio Parity Act "a commonsense bill" and urged his colleagues to support it. Brady, Kaptur, Pearce, and O'Rourke may have heeded his advice. A League-led effort to encourage members to urge their lawmakers to become cosponsors of the House and Senate measures continues. League representatives will be at the 2016 ARRL National Convention February 12-14 in Orlando, Florida, hosted by the Orlando HamCation, to assist members in writing their members of Congress. H.R. 1301 would direct the FCC to extend its rules relating to reasonable accommodation of Amateur Service communications to private land-use restrictions, such as deed covenants, conditions, and restrictions. An identical US Senate measure, S. 1685, has attracted three cosponsors. It cleared the Senate Committee on Commerce, Science, and Transportation last November. The 2016 ARRL National Convention is February 12-14 at Orlando HamCationÂ®.This year marks the 70th anniversary of HamCation, one of the largest annual hamfests in the US. Chairman Peter Meijers, AI4KM, reports that advance ticket sales have been very brisk, and the largest commercial building at the fairgrounds -- which will be filled with ham radio manufacturers, equipment dealers, and other exhibitors -- sold out early this year. The ARRL National Convention team will include more than 60 members, including ARRL staff, officials, and Field Organization volunteers. Representatives supporting the Amateur Radio Parity Act will be on hand to help attendees generate letters to the Senate and House. An exhibit promoting the year-long National Parks on the Air event has been organized to answer questions about being a national park Activator or Chaser in 2016. A complete ARRL National Convention program guide is available for download. 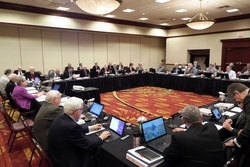 The ARRL Board of Directors has adopted an updated Strategic Plan that defines the League's vision and guides its direction over the next 5 years. ARRL COO Harold Kramer, WJ1B, a member of the Strategic Planning Working Group, said the revised plan represents more than 8 months of work on the part of the group's seven members. Now-Honorary ARRL Vice President Jim Fenstermaker, K9JF, chaired the panel, which met some 2 dozen times, mostly via webinar. Kramer said input to the Strategic Plan was considerable and comprehensive. "It will let the members know what to expect from their association," he said. Kramer stressed that the updated plan "was not developed in a vacuum" but includes survey input from ARRL members, the Board of Directors, the Field Organization, advertisers, Headquarters staff, and similar strategic plans. "We really tried to take into account what all of these different constituencies thought were the main issues, concerns, and direction of the League for the future," he added. When it adopted the Strategic Plan at its Annual Meeting in mid-January, the Board said in its resolution, "Further, the ARRL Board recognizes the Strategic Plan presented is the beginning of a more formal process for the ARRL and requires establishing priorities, resources, monitoring, review and modification and/or addition of goals, initiatives, and tactics supporting the Strategic Plan as future conditions and the environment change." Kramer said the Strategic Plan's mission statement -- To advance the art, science, and enjoyment of Amateur Radio -- describes "what we are supposed to do as an association," while its vision statement spells out "what we want to be." Increase the vitality of Amateur Radio. Keep Amateur Radio accessible to all. Advance Amateur Radio science and technology. Organize and train volunteers to serve their communities by providing public service and emergency communications. "Tactics will be developed to define what must be done to support the goals and initiatives, as well as to prioritize activities and programs for development," Fenstermaker explained. "ARRL management is responsible for implementing and managing the process with the Board of Directors' oversight." As the Strategic Plan states in its Preamble, "This plan is a starting point to assure that ARRL continues its leading role in the Amateur Radio community." It's not too early to be thinking about Field Day 2016 and planning your club's strategy for a bigger score and greater participation than last year. Field Day is June 25-26 -- always the 4th full weekend in June -- and the 2016 ARRL Field Day Packet now is available to download as a PDF file. This year's Field Day introduces two new ways to score bonus points -- Social Media and Safety Officer. Rule 7.3.16 Social Media offers 100 bonus points for promoting your Field Day activation to the general public via an active, recognized, and utilized social media platform, such as Facebook, Twitter, or Instagram. This bonus is available to bona fide Amateur Radio clubs and Field Day groups that welcome visitors to their operations. These bonus points are not available to individual participants, and club websites do not qualify as social media for this bonus. The bonus points are available to all Field Day entry classes meeting the criteria. Rule 7.3.17 Safety Officer offers 100 bonus points by designating someone to serve as a Safety Officer for groups setting up Class A stations. This person must verify that all safety concerns on the Safety Check List -- found in the ARRL Field Day Packet -- have been adequately met. This is an active bonus. Simply designating someone as Safety Officer does not automatically earn the bonus points. In order to claim this bonus, participants must include a statement verifying the completion of the Safety Check List in the supporting documentation sent to ARRL Headquarters. Last year, 2720 stations submitted ARRL Field Day entries. Nearly 1.3 million contacts were logged during FD 2015 -- an increase of just over 1 percent. Nearly 35,400 individuals took part in Field Day last year. The 2016 ARRL Field Day logo makes a connection to the League's year-long National Parks on the Air (NPOTA) operating event. NPOTA celebrates the centennial of the National Park Service (NPS). The design's featured hiking boot footprint anticipates that many 2016 Field Day groups and individual operators may want to combine FD and NPOTA, setting up at national parks, historic sites, or at any of the hundreds of official National Park Service units throughout the US. Pick your park, get the okay from park officials, get out and get on the air, and leave nothing but footprints! Follow Field Day on Facebook and Twitter (hashtag #ARRLFD). Share your plans, tips, and tricks for a successful Field Day! For more information about Field Day 2016, contact ARRL Headquarters. Statistics from the first month of National Parks on the Air (NPOTA) prove that the event is a big hit nationwide! In January, 243 of the 483 eligible NPOTA units had at least one activation, with 606 total qualified activations. More than 72,100 NPOTA contacts were uploaded to Logbook of The World (LoTW) in January. The top three most-activated units are all trails: The Appalachian National Scenic Trail, TR01 (15); the Washington-Rochambeau Revolutionary Route National Historic Trail, TR23 (10); and the Santa Fe National Historic Trail, TR11 (9). The top three units attracting the greatest number of contacts were the Santa Fe National Historic Trail, TR11 (1977); Hot Springs National Park, NP30 (1781), and Cape Cod National Seashore, SS03 (1563). With an expected uptick in activity as the weather gets warmer across the country, 1 million NPOTA QSOs are not out of the realm of possibility. For the week of February 4-10, 28 different NPOTA units are scheduled to be activated, including the Fort Pulaski National Monument in Georgia. See the NPOTA Activations Calendar for the complete listings. 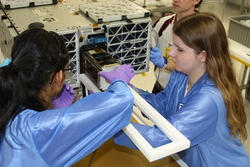 A package of two satellites carrying Amateur Radio payloads has been deployed into orbit from the International Space Station (ISS) as part of a collaborative Texas A&M and University of Texas at Austin research effort. Built by Texas A&M students, AggieSat4 (AGS4) will release UT's Bevo-2 CubeSat in about a month, once it is far enough away from the ISS. Both schools received support from NASA's Johnson Spaceflight Center (JSC) for the design, construction, testing, and launch phases. The goal of the overarching LONESTAR (Low Earth Orbiting Navigation Experiment for Spacecraft Testing Autonomous Rendezvous and Docking) program is for the two satellites to individually rendezvous with each other and perform docking and undocking maneuvers. "The overall objective is to find ways for small spacecraft to join together autonomously in space," Helen Reed, KD7GPX, professor of aerospace engineering and director of the AggieSat Lab at Texas A&M told NASA. "We need simple systems that will allow rendezvous and docking with little to no help from a human, which will become especially important as we venture farther out into space. Applications could include in-space assembly or reconfiguration of larger structures or systems as well as servicing and repair." The AggieSat team received its first beacon signal from the satellite at its Texas A&M Riverside Campus ground station. The AggieSat4 team is asking any Amateur Radio operators receiving the beacon signal to send any data to the AGS4 team. AggieSat4 will transmit 9.6 kbps FSK telemetry and 153.6 kbps FSK on 436.250 MHz. Once it's placed into its own orbit, Bevo-2 will transmit on 437.325 on CW and 38.4 kbps FSK. 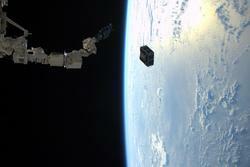 Both satellites were launched to the ISS during a December resupply mission. Astronauts Tim Peake, KG5BVI, and Scott Kelly handled preparations to deploy the sizable LONESTAR 2 mission satellite package. Read more. Students at an elite school in the Himalayan nation of Nepal enjoyed that country's first Amateur Radio on the International Space Station (ARISS) contact, when they spoke via ham radio with ISS crew member and UK Astronaut Tim Peake, KG5BVI, on January 20. Youngsters attending Brihaspati VidhyaSadan School (BVS) in Kathmandu interviewed Peake about life onboard the space station. Through his Principia Mission, Peake is dedicating part of his scheduled time in space to educational activities for youngsters on Earth. The approximately 8 minute contact was carried out via a "telebridge" with Tony Hutchison, VK5ZAI, in Australia, where the ISS pass was favorable for a contact. Two-way audio was relayed via landline to Nepal. 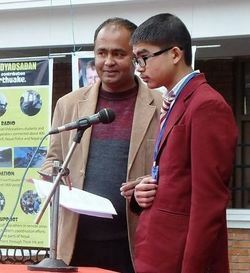 Youngsters attending Brihaspati VidhyaSadan School in Kathmandu interviewed Peake about life on board the space station. "Follow your dreams," Peake told the youngsters. "You need to find out what you are passionate about and what you are enjoying." Leading up to the event, the school had organized a week-long program and exhibition related to space travel and technology, including Amateur Radio. The Nepal Amateur Radio Operators' Society supported the exhibition. The school is home to the Free and Open Source Research Lab and Ham facility. "This was truly and international event," said Hutchison, pointing out that individuals involved in making the ARISS contact happen were spread around the globe, including Australia, Japan, Sweden, and the US. Pravin Joshi, 9N1KK, at the school was among the contact mentors. Flint, Michigan, is not the only community with water problems due to high lead content. During the week of January 18, some 8100 water customers in Sebring, Ohio, were notified that they, too, had problems with high lead content in their drinking water. On January 22, both the Ohio and Mahoning County emergency management agencies began giving out bottled water in Sebring. Mahoning County ARES Emergency Coordinator Wes Boyd, W8IZC, activated ARES to assist. Mahoning County HS/EMA Director Dennis O'Hara (left) and Regional Red Cross Director Karen Conklin discuss the task of distributing water in Sebring, Ohio. "Response on the workday was low, but a handful of ARES volunteers were able to respond," said Ohio Section Emergency Coordinator Stan Broadway, N8BHL. Boyd said, "EMA and Red Cross were overjoyed that radio operators came to work not needing a radio." ARES volunteers joined others in moving and distributing pallets of bottled water, and another call went for weekend duty. ARES members from neighboring counties volunteered. All told, the volunteers moved more than 166 pallets of water in 6 days. "This is a perfect example of being ready to serve in whatever capacity we can, in order to help our communities. Sometimes it doesn't involve only operating a radio," Broadway said. A beloved member of the extended ARRL family has passed on. 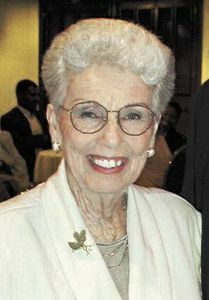 Evelyn Gauzens, W4WYR, of Dunedin, Florida, died on January 31. She would have turned 87 this week. An ARRL Life Member, Gauzens served as the Southeastern Division Vice Director for more than 20 years. The ARRL Board of Directors elected her as an Honorary Vice President in 2002. She may be best known in the wider Amateur Radio community for having co-founded and chaired the Miami Tropical Hamboree for 45 years. Past ARRL President Kay Craigie, N3KN, said that when she became a Vice Director in 1990, Gauzens was there for her as the "go-to" person to teach newcomers the ropes. ARRL Honorary Vice President and Past ARRL Southeastern Division Vice Director Evelyn Gauzens, W4WYR. "When I was preparing the supporting materials for her nomination as ARRL Honorary Vice President, I learned about her role with Amateur Radio at the National Hurricane Center," Craigie said. "She was a leader, she had a sense of humor, and she was kind. She contributed to Amateur Radio and her community. I am so glad that I could visit with her again at Orlando, so her face remains fresh in my memory. She was physically frail, of course, but her mind was as sharp as ever, and she left me laughing." Craigie expressed her condolences to Gauzens' family. Gauzens received a W4EHW/National Hurricane Center Award of Appreciation in 2003 during the annual Amateur Radio Hurricane Conference. That same year, she was honored for her 50 years of ARRL membership. Gauzens was a member of the Quarter Century Wireless Association (QCWA), a life member of the Dade Radio Club of Miami, and a participant in the Florida Phone Traffic Net. She also belonged to the A-1 Operators Club. 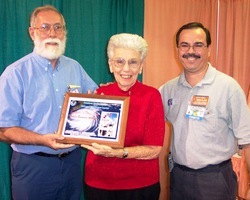 Evelyn Gauzens, W4WYR, in 2003, receiving the W4EHW/National Hurricane Center Award of Appreciation, with W4EHW (now WX4NHC) Amateur Radio Coordinator John McHugh, K4AG (left), and Assistant Amateur Radio Coordinator Julio Ripoll, WD4R. "Evelyn was always a dedicated and passionate promoter of ham radio and public service," Ripoll said. "The hams at the National Hurricane Center WX4NHC and all of South Florida will greatly miss her." In 2001, the she was the recipient of the Citizens' Ham Mobile-Marine Patrol (CHAMP) Award, presented to an Amateur Radio operator for an exemplary act of service to the community during the preceding year, or to an amateur who has demonstrated years of distinguished service to both Amateur Radio and the community. She was an ARRL VEC volunteer examiner. In 2002, Kenwood honored Gauzens with its "Top Gun Award." In 2012 Gauzens was inducted into the CQ Amateur Radio Hall of Fame, recognized as "an active proponent of improved Amateur Radio public relations" and as the principal on-site organizer -- on behalf of the ARRL as the host IARU Member Society -- of the 1976 IARU Region 2 conference in Miami Beach. "Love Amateur Radio and all those I have met in the fraternity," Gauzens said in her QRZ.com profile. Gauzens' late husband Carl was W4DTJ, a call sign now held by her granddaughter, Stephanie. Her son Alan is WA4ATF. Tad Cook, K7RA, Seattle, reports: Over the January 28 through February 3 reporting week, both sunspot and solar flux averages were down a negligible amount, and geomagnetic numbers were down substantially, compared to the previous 7 days. 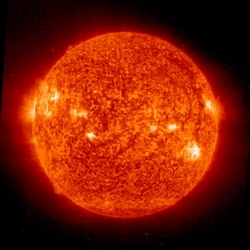 Average daily sunspot numbers declined from 57.3 to 50.6, while average daily solar flux values dipped from 106 to 105.4. Average daily planetary A index softened from 11.6 to 7.3, while the mid-latitude A index (measured in Fredericksburg, Virginia) went from 7.6 to 5.6. The latest predicted solar flux is 120 on February 4-5; 115 on February 6; 110 on February 7-10; 105 on February 8-20; 100 on February 21-March 2; 95 on March 3; 90 on March 4-5, and 95 on March 6-8. Predicted mid-latitude A index is 8 on February 4; 5 on February 5-6; then 8, 18, 12, and 8 on February 7-10; 5 on February 11-16; 10, 15, 12, and 10 on February 17-20; 5 on February 21-27; 8 on February 28-29; 15 and 8 on March 1-2, and 5 on March 3-5. Sunspot numbers for January 28 through February 3 were 64, 49, 30, 39, 42, 52, and 78, with a mean of 50.6. The 10.7 centimeter flux was 109.9, 106.9, 105.1, 101.2, 100.2, 102.1, and 112.1, with a mean of 105.4. Estimated planetary A indices were 6, 3, 3, 10, 9, 6, and 14, with a mean of 7.3. Estimated mid-latitude A indices were 5, 3, 3, 8, 6, 4, and 10, with a mean of 5.6. In Friday's bulletin look for an update of our 3-month moving average of sunspot numbers, which shows a steady and gradual decrease in the current sunspot cycle.